Learning Russian? Want to sound really Russian? Learn informal Russian phrases. Five very easy Russian expressions that will impress your Russian speaking friends! Answer Нормально to the question Как дела? It means I’m doing fine and it sounds really natural and informal. Say Давай when saying Good-bye to a friend. Very few foreigners use this expression, your Russian friends will be very impressed! It’s quite informal though, avoid using it with your boss or in a shop. – Ну тогда завтра увидимся? – Ага, давай, до завтра! Russians very often use more informal words talking about vegetables. They will prefer картошка to картофель, морковка to морковь. The other advantage of those words is that you can count them : одна картошка, две картошки…, but you can’t say два картофеля. – Да, купил! Теперь можно делать салат Оливье. Did you know that Russian language used to have a vocative case? It was used to address somebody. Well, you can still hear it sometimes while addressing somebody informally. For example, Таня becomes Тань (я is replaced with a soft sign). It only works for first names ending with a vowel. Коля – Коль. Аня – Ань. Ксюша – Ксюш. Света – Свет. Тань, ты не знаешь, где ключи? Свет, привет! Ты сейчас можешь говорить? 5. Что делаешь? vs Что ты делаешь? You don’t always have to use personal pronouns in Russian. Every verbal form is unique (делаю, делаешь, делает…) so it’s impossible to get confused. In informal Russian we often don’t use я, ты. Sometimes it’s used in a situation when we actually know the answer to the question. – Да вот, книжку читаю. – Значит, в отпуск завтра едешь, да? – Да, рано утром уезжаю. 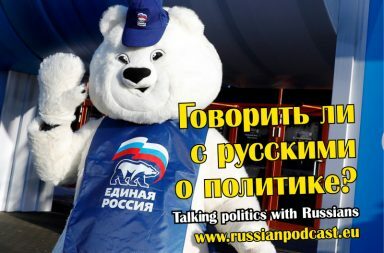 To learn more about Informal Russian listen to Russian Podcasts N°142, 143 and 144.